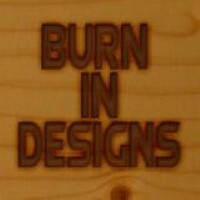 Burn In Designs is a custom gaming accessories companies specializing in laser cut terrain kits and gaming accessories. Our product line covers a wide range including paint storage systems and accessories, old west terrain table sets, sci-fi terrain, 6mm Battletech terrain and board game accessory kits. All out kits offer custom engraving options as well as extra parts that allow the user to customize their kit so no two look the same.